David Mike is a Christ follower, husband, father, author, blogger, and cosmetology instructor in Omaha, Nebraska. David is passionate about sharing the message that we do not have to be defined by our past and that God can use our kind of mess for good. 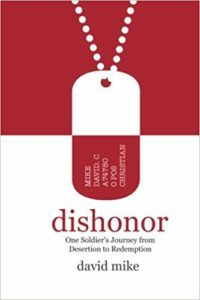 Dishonor is his first book.